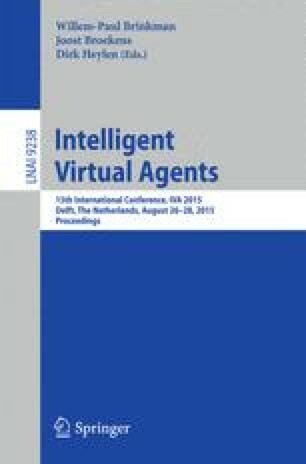 We present ongoing work on the development of an architecture for virtual characters that should serve as a base layer, equipping them with a minimal set of plausible reactive behavior. The architecture conceptualizes reflexive behavior as a response to external (exogenous) and internal (endogenous) stimuli. This work was partially supported by “Moving Stories” and “Moving+Meaning” Canadian SSHRC and CANARIE grants respectively.